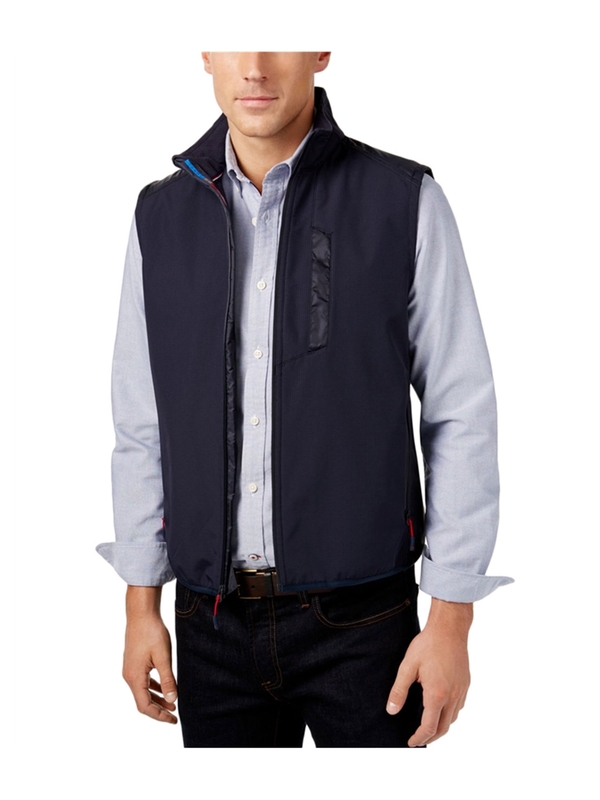 Solid, casual, lightweight, comfortable vest. Mock collar with contrast interior; textured pattern. 2 side zip pockets; left chest welt pocket. Full zip closure.